AMD developers have a miraculous Christmas present for their open-source Linux users, particularly Linux gamers with FreeSync/Adaptive-Sync displays… This last major feature missing from AMDGPU DRM driver that’s long been sought after is finally set to land in the mainline Linux kernel! It has been a long time coming but the FreeSync support (or VESA Adaptive-Sync / HDMI VRR) is finally set to be merged with the upcoming Linux 4.21 kernel cycle. FreeSync/Adaptive-Sync/VRR as a reminder is about adjusting monitor refresh rates dynamically without any mode change to reduce stuttering, tearing, and input lag. Previously this support was just available for Radeon Linux users via the AMDGPU-PRO components and not from the standard Linux kernel driver. This week the DRM “VRR” patches were queued in the AMDGPU-Next tree with the new DRM core properties for exposing this functionality and hooking up the necessary bits in the AMDGPU Direct Rendering Manager driver itself. 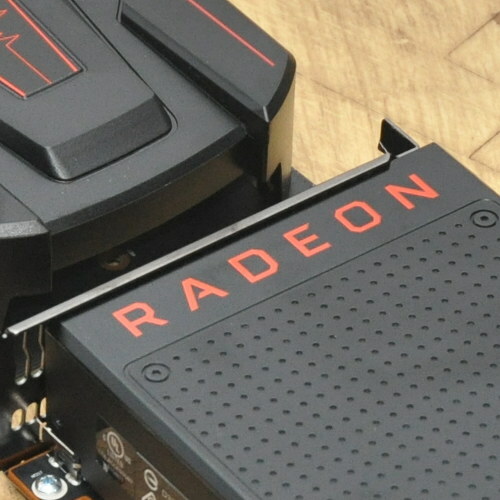 This functionality is long overdue for the open-source AMD Radeon graphics driver and took longer than anticipated due to coming up with this common DRM interface that can be used by the likes of the other DRM drivers in the future. There is a vrr_capable property for indicating if a display connector is capable of VRR/Adaptive-Sync/FreeSync and vrr_enabled property for if a display/connector is enabled for the functionality or if it should be enabled. This commit documents the properties in greater detail. And then there’s the integration bits with the AMDGPU DRM driver for making it a working reality. All of this code is currently sitting in drm-next-4.21 for AMDGPU and should then hit DRM-Next in the days ahead. Assuming no major last minute issues, the code should then be merged into the Linux 4.21 mainline kernel when its merge window opens at the very end of December or early January. Linux 4.21 should then be released in March for those that may be planning a new monitor purchase or upgrade to one of these capable displays. Besides the kernel-side work, there are also Mesa patches pending for the necessary bits in user-space, which should be merged to Mesa 19.0 once the kernel portion is merged to mainline. Tests. instructions, and more details on Phoronix when that code lands.